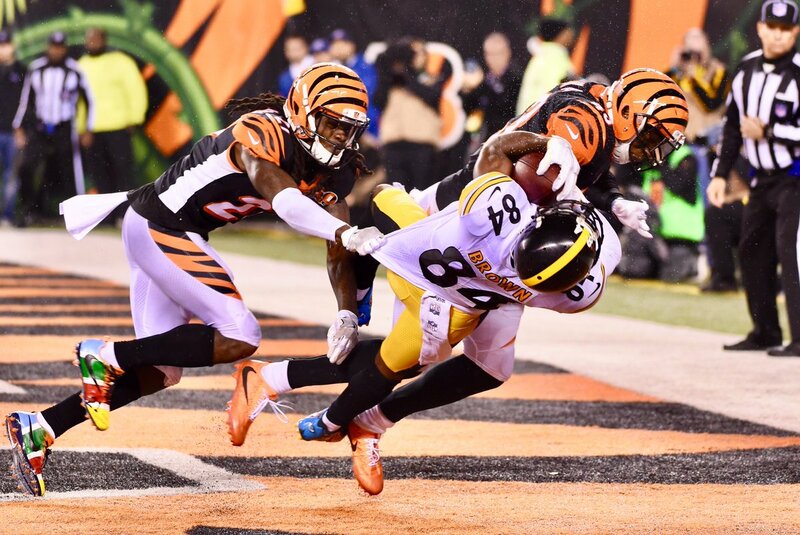 The Steelers played a memorable game in Paul Brown Stadium Monday night, as for the second straight season they overcame a 17-3 deficit to the Bengals, only to pull out a win 23-20 on a Chris Boswell field goal on the game’s final play. It was the second straight week that Boz hit a game winner at the buzzer, but the game Monday night will go down as so much bigger, as the team lost linebacker Ryan Shazier to a scary first quarter injury that saw him have to be taken to a hospital in Cincinnati. The team has yet to release any official word on the linebacker, so before fans go ahead and start to declare if and when he may play again, it does no good until the team gives an official update on his condition. For now, it does no good to speculate how Shazier is, and it’s best just to stay positive, keep the linebacker in prayer, and hope that he’s able to make a complete recovery. As for the game – it was ugly, but much like the game in Indy a few weeks back, the black and gold did enough to get the win, and it was important as it keeps them as the top seed in the AFC with the showdown with New England two weeks away. Before that, it’s another prime time game, this time on Sunday night against the Ravens at home as the team will look to get to 11-2. Let’s look back at the Monday night win, as the Steelers do what they seem to do best, overcome Bengals mistakes and walk out of the Queen City with a win. 1 Comment on "Steelers Lose Shazier to Scary Injury, Overcome Bengals 23-20 to Move to 10-2"
Jay , you are one insensitive , heartless poor excuse for a human being . The Steelers , lost one of their best players on their roster to what could be not only a career ending injury , but a life changing injury for him and his family . Ryan Shazier , is a young player who like most players doesnt always play with proper technique . That changes with age and experience . However , to say he brought it on himself with no regard for the mans life , you’re an idiot and like I said before , you have no buisness being on this site . Youre not a fan of the team or the players , so why the hell are you here ? I bet if that was a member of your very own family laying their on the ground unable to feel their legs due to a major injury , your response wouldnt be , ole well , they brought it on theirselves . Then again , with the way you act on this site , you probably would .